The Sign Maker for the very best in Bespoke Signs & Signage : A modern indoor notice board with a clean design and tempered safety glass doors. 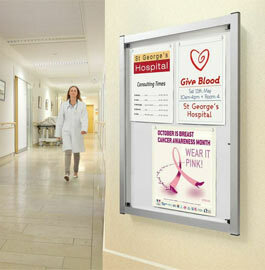 This modern range of notice board looks amazing in offices, waiting rooms or reception halls. 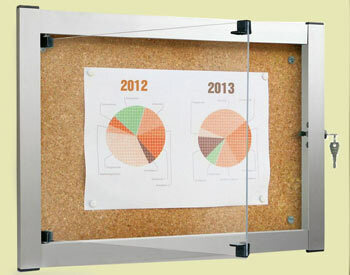 The aluminium frame is anodised and has a 40mm profile. 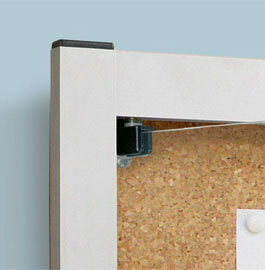 The door is made from 4mm tempered safety glass and has the hinge mechanism fitted directly to the glass. The galvanised steel backboard is white lacquered as standard but a factory fitted cork finish is available as an optional extra. This range can hold between two and nine A4 sheets. * LED lighting kit should be installed by a qualified electrician. 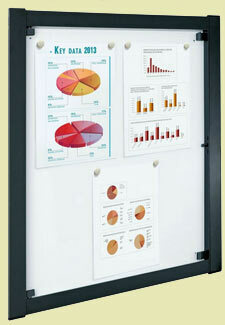 Our team at The Sign Maker looks forward to helping you with your indoor notice boards.